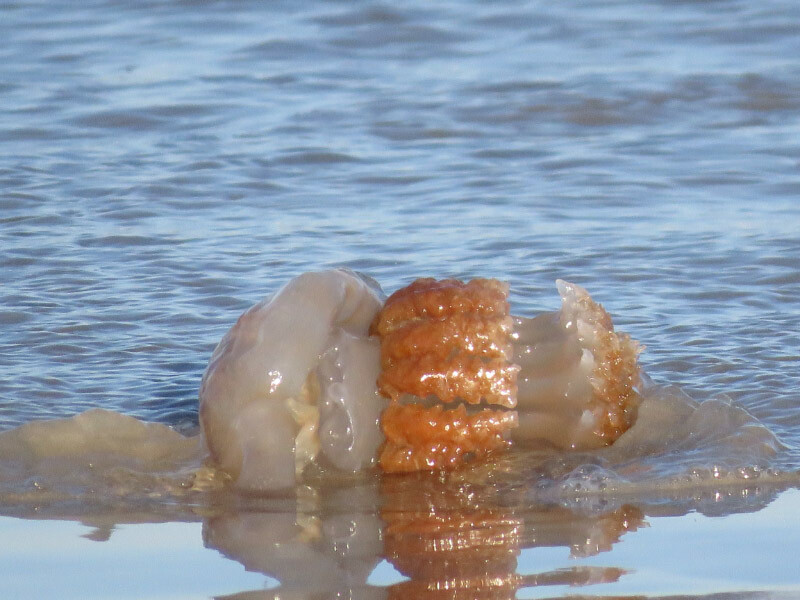 One of the surprises of the gull fly-in (previously posted about) was cannonball jellyfish on the beach. They must have washed up during the morning storms since they didn’t look decayed yet. I had never seen them before. They are more substantial looking than most jellyfish and evidently have become a commercially important in Georgia as an export to Japan, China and Thailand as food. They are not as harmful to humans as other jellyfish. One of our guides picked one up….providing a good scale for the organism.